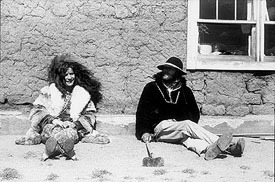 Just as increasing numbers of people were coming to the communes looking for answers, the Laws' final back-to-the-land experiment at Truchas, New Mexico, was faltering. 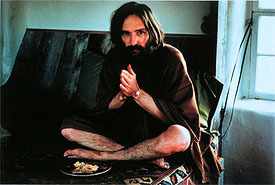 In 1976, Lisa Law moved to Santa Fe, where she eventually made her living as a photographer. 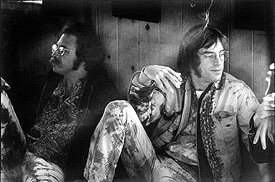 Wacco and John Sebastian, Jemez Mountains, New Mexico, 1969. After Woodstock, musicians and organizers like Sebastian, Carl Gottlieb, Ken Kesey, Paul Krassner, and Peter Yarrow gathered at the "Sympowowsium" to discuss more equitable treatment of audiences and performers at future musical events.